Christopher Bassford, CLAUSEWITZ IN ENGLISH. Chapter 15. In fact, it has been widely assumed that the discussions of Clausewitz by these two men mark the parameters of his British reception. Captain Sir Basil Henry Liddell Hart (1895-1970), the junior of the two, probably had more readers, but his reputation has not weathered well. He was born in Paris, the son of an English Protestant minister. In 1913 he entered Corpus Christi College at Cambridge to read modern history; he joined the Officer Training Corps upon the outbreak of war. In 1915 he was commissioned in the King's Own Yorkshire Light Infantry and, after three relatively short tours in the front lines, was badly gassed on the Somme in July of the following year. A pamphlet on platoon tactics that he wrote during his convalescence was issued to the army in 1917. Later, he wrote the tactical half of the army's official infantry manual, a work "which was promptly de-written by anonymous hands in the War Office. "(*2) He remained in the army after the war but was invalided out in 1924 and placed on the retired list, as a captain, in 1927. Unable to afford a return to academia, Liddell Hart gravitated into journalism. In 1925, he succeeded the Clausewitzian Colonel Repington in the prestigious post of Times military correspondent, where he remained for the next ten years. Along with Fuller, Liddell Hart became known as one of the leading proponents of mechanization, although his actual influence, particularly in Germany, is a matter of some dispute. Somewhat paradoxically, but as a natural outgrowth of his experience on the Western Front in World War One, he also became a strong believer in the superiority of the defense. He was most closely associated with the doctrine of "limited liability," the purpose of which was to avoid or minimize Britain's commitment to combat on the continent. In practice, his policy proved untenable under the circumstances of coalition warfare. Limited liability was a natural expression of Liddell Hart's broader strategic theory, which he characterized as the "indirect approach" or "the British way in war." His overarching goal was to find some indirect way to strike at an enemy's strategic vitals, bypassing his main strength and thus avoiding the head-to-head confrontation that had led to the bloodbaths of the Great War. Liddell Hart enjoyed considerable influence in the later 1930s through his advice to Secretary of State for War Leslie Hore-Belisha. Unfortunately, his suggestions on policies and personnel alienated much of the army establishment, and his personality was ill suited for participation in practical government. As one French admirer observed, "It is odd that Liddell Hart never realized that in peace, as in war, it is usually necessary to employ the strategy of indirect approach. "(*3) Discredited by the events of 1940, Liddell Hart painfully rebuilt his reputation after the war. In this he was aided by the advent of nuclear weapons, which made his limited approach to war seem more applicable, and by a gift for shameless self-promotion. Acclaimed by such luminaries as John F. Kennedy, who called him "the Captain who teaches Generals," he was knighted in 1966. Liddell Hart freely credited Clausewitz with keen perceptions on the moral and psychological elements in war, and cited him in support of his own arguments whenever it seemed useful. In 1951, for example, he fell back on the authority of Clausewitz's views on the defensive form of war when trying to justify his pre-1939 predictions that the defense would triumph. (*8) Ultimately, however, he held that "the responsibility [for World War One] lies heaviest on Clausewitz" because—and here Liddell Hart made the same complaints that Jomini did—his "metaphysical" approach and his "abstract generalizations" so readily led people into error. Not one reader in a hundred was likely to follow the subtlety of his logic, or to preserve a true balance amid such philosophical jugglery. But everyone could catch such ringing phrases as—"We have only one means in war—the battle." "The combat is the single activity in war." "We may reduce every military activity in the province of strategy to the unit of single combats." "The bloody solution of the crisis, the effort for the destruction of the enemy's forces, is the first-born son of war." "Only great and general battles can produce great results." "Let us not hear of generals who conquer without bloodshed." Apart from his stylistic objections, which were in fact his fundamental complaint, Liddell Hart's critique of Clausewitz's theories concentrated largely on five points. First, he objected to the theory of absolute warfare and the nation in arms. He ignored the facts that the term "absolute war" was a philosophical abstraction and that the "nation in arms" was a historical reality rather than a product of Clausewitz's fevered imagination. On War was, of course, inconsistent in determining whether Napoleonic warfare had in fact attained the form of "absolute war." Nonetheless, it is certain that Clausewitz's "absolute war" and Ludendorff's "total war" were unrelated concepts. (*10) Clausewitz's use of the former term was not the source of the war that embittered Liddell Hart. Second, Liddell Hart objected to Clausewitz's alleged dictum that the strategic objective must be the destruction of the enemy's armed forces. This was, in fact, the objective that Clausewitz had concentrated on most heavily, but his discussion of the "center of gravity" in On War made clear that the focal point could be elsewhere, depending on social, political, and historical circumstances. Indeed, the term makes no sense unless it can be used to distinguish among a variety of different possible objectives. Third (and it is a connected point, since it too relates to the concept of the "center of gravity"), Liddell Hart objected to Clausewitz's concentration on the destruction of the main enemy. He believed that this prescription was responsible for the "Westerners'" fixation on the battle of attrition in France, as opposed to the more creative "Easterners'" attempts to get at the Central Powers' alleged weak points on other fronts. (*11) The frustration of Eastern projects that were undertaken at Salonika and Gallipoli and in Syria, in which a third of all British casualties were suffered, did not dissuade Liddell Hart from this view, nor did the fact that Corbett, a dyed-in-the-wool Clausewitzian, was an Easterner. Fourth, Liddell Hart argued that Clausewitz, whom he nicknamed the "Mahdi of Mass," had reduced strategy to the simplistic act of bludgeoning the enemy to death with overwhelming numbers. The question, however, is not whether Clausewitz believed in the advantages of numbers (for he clearly did) but, first, whether he was right and, second, whether his theory could account for contrary historical examples. Regardless of what Clausewitz had said concerning the specific example of European armies at the close of the Napoleonic wars, his theoretical discussion of numbers made it clear that numerical superiority was only one of many factors deciding any particular contest. Fifth, Liddell Hart complained that Clausewitz had focused on war to the detriment of the subsequent peace. This was probably his most legitimate charge, although considerations of the peace would fall naturally under the heading of "policy," which Clausewitz had assumed—for the purposes of theoretical discussion—would be designed with the best interests of the nation in mind. This assumption was perhaps the weakest link in Clausewitz's theory, or at least the most easily misunderstood, but then, Clausewitz was writing a book about war, not about policy. In failing to respect the fact that Clausewitz had sought to create a dynamic, descriptive theory applicable under changing historical circumstances, Liddell Hart often committed the very mistakes of which he accused the philosopher's disciples. Like most of the prewar writers he condemned, he tailored his own efforts to purely contemporary circumstances and to forecasting the nature of the next war. in the long run a military theorist must be judged not only by his writings but also by the interpretation of them on future battlefields.... [I]f Clausewitz fathered the most bloody and wasteful era of warfare in modern times, it is because lesser minds accepted his philosophy rather than his tactics [? ], his flashing phrases rather than his sober modifications. This is probably too Machiavellian a view. If Liddell Hart was deceiving anyone it was most likely himself. He was contemptuous of the mental faculties of the British military leadership, sometimes absurdly so. He and Fuller were among the principal architects of the "Colonel Blimp" image that has so distorted our conception of British military behavior in World War One and the interwar period. On the other hand, he was himself touched by the anti-intellectual traditions of the British army. His most virulent attacks on Clausewitz reflected resentment of the mental effort that the philosopher demanded from his readers, and it was the alleged complexity of the ideas expressed, not their content, that really incensed him. Further, as even his friendliest biographers have acknowledged, he tended to get tangled in his own prejudices and was never receptive to criticism. (*26) Liddell Hart's attacks on Clausewitz are symptomatic of the curious blind spots in his often brilliant intellect that his biographers have often noted. Liddell Hart's biggest blind spot was probably caused by his conception of himself as an original thinker. 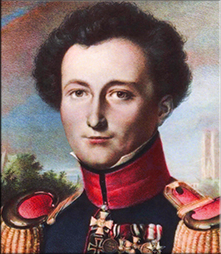 If that self-image was to be maintained, the power of Clausewitz's vision would have to be denied. If one were to delve into the murky waters of "psychohistory," one might speculate that Liddell Hart's subconscious mind accomplished this by blurring the distinction between Clausewitz and his "misinterpreters." Of course, Hahlweg was writing to Liddell Hart as a personal friend and at a time when the British writer was at the height of his prestige. (*29) Perhaps Hahlweg simply realized that Liddell Hart could not be moved by a frontal attack and sought to move him by degrees to a more reasonable attitude. Also, his positive treatment of Liddell Hart in his discussion of "Clausewitz in the Anglo-Saxon World" cleverly served the double purpose of pacifying Liddell Hart and enlisting his support for the greatness of the Prussian philosopher. (*30) That Liddell Hart went along with this is further evidence of his own belief that he had indeed given Clausewitz his due. Hahlweg's approach may have had some effect for, ironically, Liddell Hart later participated at least nominally with him in the "Clausewitz Project" at Princeton. Organized in the early 1960s and involving such scholars as Gordon A. Craig, Bernard Brodie, John Shy, Peter Paret, Michael Howard, and Klaus Knorr, the project eventually resulted in the 1976 Howard/Paret translation of Vom Kriege. Major-General J.F.C. (John Frederick Charles) Fuller (1878-1966) is often associated with Liddell Hart, but the men were in many ways quite different. Fuller belonged to an older generation; his practical military experience was much greater; his interests were until a rather late date more narrowly tactical and technological; and his view of Clausewitz was much less static, undergoing considerable evolution. On the other hand, they shared a tendency toward contempt for the intelligence of others and for that of the British officer corps in particular. Fuller once remarked that "putting over the truth is rather like giving a puppy a bolus, it has got to be wrapped in something the little creature likes, [and] I am afraid I am not very good at sugaring pills. "(*32) The title page of his memoirs quotes Herakleitos: "Asses would rather have refuse than gold." Fuller made it quite clear that this line was directed at the British military leadership. Someone skeptical of Fuller's approach might observe that the asses in this case were simply being sensible, preferring the digestible to the merely ornamental. Both men were also profoundly shaken by the experience of the First World War; both made their reputations as advocates of mechanization; and both suffered an eclipse in reputation during the Second World War (Fuller for his prewar connections with British fascism and for his alleged advocacy of an all-armored, tank-heavy force, universally rejected by 1943). Once out of uniform, each made his living through journalism, a profession that greatly affected the style, if not necessarily the content, of their writings. Both ended their days as rehabilitated military prophets, with considerable honor in their own countries as well as abroad. Fuller came from a solidly middle-class background. Like Liddell Hart, he was the son of a churchman. His mother was French, although she had been raised in Germany. Her son was known as Fritz until the Great War made it advisable to seek a new nickname, and his wife Sonia was German. His new sobriquet was Boney, descriptive of both his physical appearance and his Napoleonic stature, knowledge, and behavior. His biographers have made much of his small size and its impact on his sometimes bellicose personality. Intelligent and highly literate, Fuller entered Sandhurst in 1897, was commissioned in 1898, and was immediately posted to Ireland. In late 1899 his regiment left for South Africa and arrived at Capetown at the hour of one of Britain's major military embarrassments. Fuller had been in the country long enough to determine that the British army had no idea what it was doing when he was struck down by appendicitis. He was evacuated to England but returned in time to participate in the last phases of the war. After some desultory regimental combat duty, he wangled a more exciting assignment as chief of a largely native reconnaissance company. This was an exciting, educational, and dangerous job (since the Boers put a death sentence on white officers leading black troops). The independence and intensity of this position made it a formative experience for young Fuller. Posted back to England in 1906, Fuller served as the adjutant (and only regular officer) of a volunteer regiment. This assignment was important in a couple of ways: first because it gave him experience with the sort of citizen soldiers who would fight the coming world wars and second because it gave him time to do—for the first time in his military career—some serious military reading. He entered Camberley in January 1914 and was saved from the initial slaughter of junior BEF officers by his subsequent assignment to the general staff. During this same period, Fuller began to write seriously on military topics. (He had already published some works on mysticism.) These articles generally concerned troop training and tactics. He also began developing his ideas on the "Principles of War," that is, the objective, mass, offensive, and so forth (the list went through several evolutions). As familiar as that sort of list may seem to soldiers today, it originated (insofar as any such idea "originates") with Fuller. As a corps staff officer in France by 1915, Fuller soon became involved in setting up and running a series of highly successful rear-area courses for frontline officers, many of them quite senior to Fuller. Thus began his habit of lecturing to his superiors. In mid-1916, Fuller was introduced to the weapon with which his name is usually linked, the tank, the development of which was entirely out of his hands. Its tactical employment, however, bore his stamp. By December he was a member of what became the Tank Corps. He was involved in planning most of the major tank attacks, particularly those on Cambrai in November 1917 and on Amiens in 1918. Functioning always as a staff officer rather than a commander, Fuller was known as the "brain of the Tank Corps," a job that made his reputation. Fuller's most famous scheme was one that was never executed, "Plan 1919." Developed in May of 1918, this plan has been hailed as the precursor of the blitzkrieg. It was based on the ideas of massive armored attacks, tactical air support, and the aim not of physically destroying the enemy but of paralyzing his command system. After the war, Fuller (a colonel in 1919) held a series of interesting and important jobs. He was chief instructor at Camberley from 1923 to 1926, then military assistant to the chief of the Imperial General Staff, and then commander of the Experimental Mechanized Force. Unfortunately, he quit the last job in a huff, proceeded to antagonize the army's leadership on a number of often peripheral issues, published several controversial books, and was retired in 1933 as a major-general. Thereafter he made his way primarily as a military journalist. He also fell in with Sir Oswald Mosley, the leader of British fascism, a serious error that damaged his relationship with Liddell Hart and probably precluded (if his feud with the military leadership had not already) his active employment in the war of 1939-45. It would be impossible to summarize Fuller's military thinking here, and the interested reader should consult A.J. Trythall's and Brian Holden Reid's capable biographies. (*34) In regard to his views on Clausewitz, Fuller appreciated the philosophy of On War, albeit in a creative, erratic, and typically idiosyncratic manner. It is questionable whether Fuller's early outlook on war was directly shaped by it, although he was a member of the prewar generation of thinkers and he undoubtedly absorbed a great deal indirectly through other reading or through the influence of F.N. Maude, who introduced him to On War around 1906. For all his enthusiasm for Clausewitz, however, Maude was one of those who rejected key aspects of his argument. On the other hand, his penetrating analysis of the relationship of war and policy has never been excelled, and is even more important today than when first expounded. Strange to relate, its lack of appreciation was an even more potent factor in the extension of unlimited warfare than his absolute concept." He devoted a whole chapter to Clausewitz's theories, producing a much more balanced treatment than ever before. This included intelligent if sometimes cranky understandings of the discussion of "real" as opposed to "absolute" war, the dynamic relationship of attack and defense, and the "centre of gravity." Most remarkable, perhaps, was Fuller's final surrender on the issue of war as art or science: Clausewitz "was the first, and remains one of the few, who grasped that war `belongs to the province of social life.'" But of all Clausewitz's blind spots, the blindest was that he never grasped that the true aim of war is peace and not victory; therefore that peace should be the ruling idea of policy, and victory only the means to its achievement. Nowhere does he consider the influence of violence on eventual peace; actually, the word "peace" barely occurs half a dozen times in On War. In Napoleon he found the past-master of his theory of absolute war; yet to where did absolute war with its maximum of violence lead him? Not to the peace he aspired, but to St. Helena. Violence pushed to its utmost bounds ended in absolute failure. Better the advice of Montesquieu: "That nations should do each other the most good during peacetime and the least harm during wartime without harming their true interests," if peace is to be anything more than a temporary suspension of arms. Fuller's criticism is based on the impact of the Versailles settlement after 1918 rather than the experience in Europe after Vienna in 1815 or in Germany and Japan after World War Two. Both of the latter experiences indicate that ruthless violence in war is much more easily forgiven than is inequity in peace. In actuality, the word peace appears in On War at least one hundred times. It shows up twenty-seven times in Book 1, five times in Chapter 1 alone. Clausewitz also said of ends and means in war that "the original means of strategy is victory—that is, tactical success; its ends, in the final analysis, are those objects which will lead directly to peace. "(*44) Fuller's criticism of Clausewitz's alleged adoration of Napoleon also misses a crucial point: Clausewitz, of course, regarded Napoleon's failure as a virtual inevitability, given the workings of the balance of power. given the impression that your intention is nothing less than to outmode Clausewitz.... Having made extensive use of Clausewitz myself during the Second World War when I was on tap as a speaker about the relationship between books and the conduct of war, I take this intention of yours with perhaps undue seriousness. Neither of us will be around forever but I should very much like that your book should be. As regards Clausewitz, my intention is not to outmode him, but—were there such a word—to in-mode him; to bring him into fashion [and] get people to read him instead of quoting him. The unfortunate thing about "On War" is that about nine-tenths of it is now obsolete, and the one-tenth, which is pure gold, gets lost in the rubble. In Chapter IV I have panned out the latter in some five or six thousand words. If statesmen [and] generals cannot digest that much, then they had better pack up. Fuller's obeisance to Clausewitz did not, however, come across very clearly in his published work. His impact on Clausewitz's image and reputation is hard to trace or to judge, but his attempts to summarize Clausewitz for those who were in his view too boneheaded to read or understand On War for themselves often backfired. In "panning out" Clausewitz's essence, Fuller reduced On War's philosophy to its extremes, tending unintentionally to support the image projected by Liddell Hart. (*47) Fuller's American disciple Hoffman Nickerson certainly picked up much of his early ambivalence toward Clausewitz and, along with Fuller, grew more respectful during World War Two. That Fuller was unable to take a more consistent position and to be more critical of his own work in light of Clausewitz's example was a function of Fuller's eccentric personality and constant drive to assert his own individuality. Nonetheless, his assessment was clearly more positive and sophisticated than Liddell Hart's. The title of Wilkinson's critique, "Killing No Murder," was a clever double entendre based on Liddell Hart's advocacy of gas warfare and indiscriminate bombing against defenseless enemy cities. According to Liddell Hart, obviously influenced by the ideas of the Italian air theorist Giulio Douhet, such a policy could hardly be a crime if it led to the speedy conclusion of the war and a consequent minimization of overall casualties. Wilkinson's counterargument, based on his own views on the strategic value of the moral high ground, was that killing off a harebrained proposal of this nature was no crime either. Wilkinson's article was basically a rebuttal of Liddell Hart's The Remaking of Modern Armies, which contained the usual attacks on Clausewitz. (*50) In his chapter "The Napoleonic Fallacy," Liddell Hart had denounced the "orthodox schools" of military thought. Wilkinson, although attracted to aspects of his approach, rejected Liddell Hart's claims to theoretical originality. I should like to persuade Captain Liddell Hart that he is himself a disciple, in my sense, of the orthodox school, and that in this chapter he is propounding a paradox.... The doctrine which Captain Liddell Hart denounces as erroneous and mischievous, and which he calls Napoleonic, is attributed by him not to Napoleon but to "his great German expositor, Carl von Clausewitz." The classical interpreter of Napoleon's methods was not Clausewitz, but one of Napoleon's generals, Jomini. Clausewitz is the representative of the ideas not of Napoleon, but of his chief German adversaries, Scharnhorst and Gneisenau.... This being the theory of Clausewitz, what is according to Captain Liddell Hart the true doctrine to be contrasted with it? I give it in his own words: "The aim of a nation in war is to subdue the enemy's will to resist, with the least possible human and economic loss itself.... [O]ur goal in war can only be attained by the subjugation of the opposing will.... [A]ll such acts as defeat in the field, propaganda, blockade, diplomacy, or attack on the centres of government and population are seen to be but means to that end; we are free to weigh the respective merits of each, and to choose whichever is most suitable and most economic, i.e., that which will gain the goal with the minimum disruption of our national life during and after the war.... The destruction of the enemy's armed forces is but a means—and not necessarily an inevitable or infallible one—to the attainment of the real objective." With the best will in the world I fail to see that this is anything more than a repetition of Clausewitz. Wilkinson also took Liddell Hart to task for his contradictory attitude toward violence in war. Despite his evident willingness to bomb defenseless civilians, "it turns out that he is after that old will o' the wisp, victory without battles or bloodshed." Wilkinson brought up Liddell Hart's selective quotation from Maurice de Saxe (T.E. Lawrence's alleged mentor): "I am not in favor of giving battle.... I am even convinced that a clever general can wage war his whole life without being compelled to do so. "(*52) Liddell Hart contrasted this sensible attitude with Clausewitz's and Foch's bloody-mindedness. Unfortunately, as Wilkinson pointed out, Saxe had gone on to say "but for all that I do not pretend to say that when you find the chance of crushing the enemy you ought not to attack him ... and, above all, [you] must not be satisfied with merely remaining master of the field." That is, one must pursue, à la Clausewitz. Such pursuits are bloody by definition. Saxe had, after all, built his own reputation on three victorious battles. He soon returned, however, to his customary broadside attack. Nonetheless, it is clear that both Liddell Hart and Fuller found a great deal of inspiration in On War. 1. Jay Luvaas, "Clausewitz, Fuller and Liddell Hart," in Handel, ed., Clausewitz and Modern Strategy; Captain [USAF] Kenneth L. Davison, Jr., "Clausewitz and the Indirect Approach—Misreading the Master," Airpower Journal, Winter 1988. Howard, "Influence of Clausewitz," 38-41, discusses Liddell Hart's interpretation. 2. Michael Howard, "The Liddell Hart Memoirs," Journal of the Royal United Service Institution, February 1966, 58-61. 3. Quoted in Howard, "The Liddell Hart Memoirs." 4. On permutations in Liddell Hart's reputation, see John Mearsheimer, Liddell Hart and the Weight of History, 1-5. Mearsheimer's overall interpretation, however, is controversial. 5. See discussions of Clausewitz in Liddell Hart, "The Napoleonic Fallacy," Empire Review, May 1925; Foch: The Man of Orleans (Boston: Little, Brown, 1932), 23-26; Ghost of Napoleon, esp. Part III, Ch.2, "The Mahdi of Mass"; Strategy [(New York: Praeger, 1954), 352-357. British Way of Warfare provides his substitute for "Clausewitzian" thinking; Strategy provides the best statement of his strategic thought. 6. Graham/Maude, On War, v.I, xi. 7. "Armed Forces and the Art of War: Armies," in Bury, ed., New Cambridge Modern History, 320. 8. Liddell Hart to radio commentator E.H. Carr, 22 August 1951. Liddell Hart Papers I/150/1. 9. Liddell Hart, Ghost of Napoleon, 125-126. 10. Wallach, Dogma, 15; 31, n.28; 241-246, discusses contrasts between the two ideas. Lauterbach, "Roots and Implications of the German Idea of Military Society," attempts to equate them. See also Peter R. Moody, Jr. "Clausewitz and the Fading Dialectic of War," World Politics, v.31 (1979), no.3, 417-433. 11. A point he made often, e.g., Liddell Hart, Colonel Lawrence, 30, 56. 12. Liddell Hart, Ghost of Napoleon, 123. 13. Michael Howard, "Influence of Clausewitz," 40. 14. Liddell Hart, Memoirs, v.1 (London: Cassell, 1965), 142. 15. The Decisive Wars of History (Boston: Little, Brown, 1929), 147. 16. Liddell Hart, Europe in Arms (New York: Random House, 1937), 218-221. In The German Generals Talk, 194, Liddell Hart passed on without comment General Kleist's regrets that the Nazis had not better understood Clausewitz, esp. on the relationship between war and politics and on the difficulties of conquering Russia. 17. Montross, War Through the Ages, 585. Listed on the Commandant's Reading List, ALMAR 127-89 (111500Z Jul89). Headquarters United States Marine Corps, FMFM 1: Warfighting (Washington, D.C.: 1989). See also André Beaufre, trans. R.H. Barry [Foreword by Liddell Hart], Introduction to Strategy (New York: Praeger, 1965 [Paris, 1963]), 20. 18. Barbara W. Tuchman, The Guns of August (New York: Macmillan, 1962), esp. 36, 38, 350-351. 19. Griffith wondered if Clausewitz had ever read Sun Tzu. He asked Werner Hahlweg if the 1772 Amiot translation had been in Clausewitz's personal collection. Liddell Hart, seeing the letter, said "It seems doubtful ... for Clausewitz's own "On War" would have been better if he had." Liddell Hart to Griffith, 16 July 1959; letter Griffith to Hahlweg, 13 July 1959. Liddell Hart Papers I/333/61,60b. 20. Field-Marshal Viscount Montgomery of Alamein, A History of Warfare (New York: World Publishing Company, 1968), 20, 414-15. 21. Discussed in Liddell Hart's correspondence with Hahlweg, October 1958. Liddell Hart read no German, but Hahlweg translated the letters. 22. Liddell Hart to himself, "Thoughts on philosophy, politics & military matters," 7 June 1932. Liddell Hart Papers II/1932/20. 23. British Way of War (1932), probably owing to Wilkinson's criticisms, shows a subtle understanding of Clausewitz's approach. 24. Review, Strategy, Colonel Harold D. Kehm, Army Combat Forces Journal, v.5, no.3 (October 1955), 62-63; Liddell Hart to Major John H. Cushman (USA), 5 January 1955; reply, 6 March 1955. Liddell Hart Papers I/215/14, 15a. 25. Mearsheimer, Liddell Hart and the Weight of History. Discussion of Liddell Hart and Clausewitz is minimal. 26. Brian Bond, Liddell Hart: A Study of His Military Thought (New Brunswick, N.J.: Rutgers University Press, 1977), esp. 77, 113. 27. Bury, ed., New Cambridge Modern History, 302-330. 28. Werner Hahlweg to Liddell Hart, 6 November 1958, Liddell Hart Papers I/342/10. 29. Michael Howard recalls Hahlweg as "being intensely deferential to Liddell Hart, as indeed all Germans were at that time...." Howard to Bassford, 26 September 1990. Hahlweg's letters to Liddell Hart are embarrassingly obsequious, e.g., Hahlweg to Liddell Hart, 30 October 1958. 30. Hahlweg, "Clausewitz und die angelsächsische Welt." 31. Liddell Hart Papers, Paret to Liddell Hart, 11 January 1962; reply, 19 January 1962. 32. Letter, Fuller to William Sloane, Rutgers University Press, undated but in reply to letter, Sloane to Fuller, January 30, 1961. Fuller Papers, Liddell Hart Centre for Military Archives, King's College London, IV/6/5; IV/6/6a. 33. [J.E. Edmonds], review of Fuller's Foundations of the Science of War (London: Hutchinson and Company, 1926), Army Quarterly, 12 (1926), 165-66. 34. Brian Holden Reid, J.F.C. Fuller; A.J. Trythall, Boney Fuller: Soldier, Strategist, and Writer, 1878-1966 (New Brunswick, NJ: Rutgers University Press, 1977). 35. J.F.C. Fuller, Foundations of the Science of War, 20. 36. J.F.C. Fuller, The Dragon's Teeth: A Study of War and Peace (London: Constable and Company, 1932), 66-67, 210-211, 255-256. 37. Michael Howard, War and the Liberal Conscience (London: Temple Smith, 1978), 131. 38. J.F.C. Fuller, War and Western Civilization, 1832-1932: A Study of War as a Political Instrument and the Expression of Mass Democracy (London: Duckworth, 1932), 46-49, 111. Liddell Hart, The Remaking of Modern Armies (London: John Murray, 1927), 93. 39. J.F.C. Fuller, Memoirs of an Unconventional Soldier (London: I. Nicholson and Watson, 1936), 429. 40. J.F.C. Fuller, Machine Warfare: An Inquiry into the Influence of Mechanics on the Art of War (Washington, D.C.: Infantry Journal, 1943), 2-3. 41. Greene, ed., Living Thoughts of Clausewitz. 42. J.F.C. Fuller, The Second World War, 1939-45: A Strategical and Tactical History (New York: Duell, Sloan and Pearce, 1949), 32-33. 43. J.F.C. Fuller, The Conduct of War, 1789-1961: A Study of the French, Industrial, and Russian Revolutions on War and Its Conduct (London: Eyre and Spottiswoode, 1961), 12, 59-76. 44. Howard/Paret, On War, Book Two, Chapter 2. Graham/Maude is obscure on this point, the Jolles version clear. 45. Michael Howard, "Clausewitz and His Misinterpreters," Listener, March 22, 1956, 279-80. 46. Letter, Fuller to Sloane, undated but in reply to letter, Sloane to Fuller, January 30, 1961, Fuller Papers IV/6/5; IV/6/6a. 48. See Spenser Wilkinson, "Killing No Murder: An Examination of Some New Theories of War," Army Quarterly, October 1927; Liddell Hart's response, January 1928. 49. Wilkinson to Colonel (USA) Marius Scammell, 18 January 1928; 9 February 1932. Wilkinson Papers 13/68. 50. Liddell Hart, Remaking of Modern Armies. 51. A similar argument was made later by LTC (USA) Marshall H. Armor to Major (USA) John H. Cushman and brought to Liddell Hart's attention (letter Cushman to Liddell Hart, 6 March 1955). Liddell Hart Papers I/215/14, 15a. Armor had criticized Liddell Hart's "deprecation of Clausewitz" in a review of Liddell Hart's Strategy, Military Review, February 1955, 110. Armor explained to Cushman privately that he liked the book but thought Liddell Hart's arguments essentially the same as Clausewitz's. Others have perceived similarities between Liddell Hart's arguments and Clausewitz's, e.g., Raymond B. Furlong [Lieutenant General, USAF], "Strategymaking for the 1980's," Parameters, March 1979, 9-16. Jehuda Wallach argued in Dogma, 7, that Liddell Hart's interpretation of military history, particularly the psychological nature of "victory," was the same as Clausewitz's. Liddell Hart was willing to ackowledge that Sun Tzu had anticipated him, but not Clausewitz; see his "Foreword" to Griffith's translation. 52. Saxe, quoted in Liddell Hart, Remaking of Modern Armies, 95-96. 53. British Way of Warfare, 21-22.